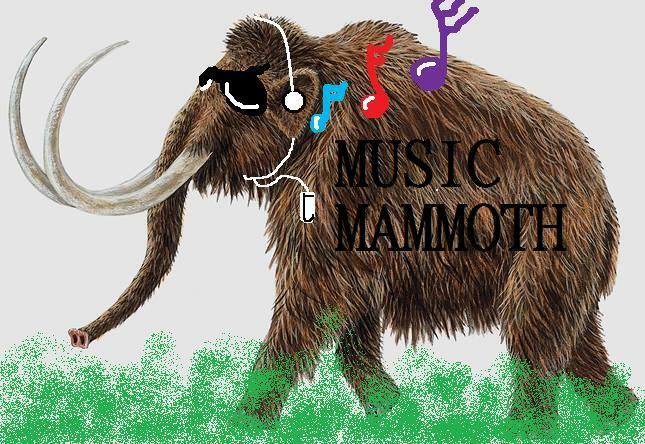 Music Mammoth: That's Like, Your Opinion Bro. Music. Unless you're deaf, it's got the power to do wonders. It can heal, anger, sooth, bring a grow man to tears, activate the inner depths of our imagination, even make us 'get down' in a fashion that to some, may just seem downright silly. It can swing our entire moods around, be it for the good or bad. Its everywhere we go. When it's gone, we dance to the silence, noisy notes running continuous loops through or heads. And I for one, love the men and women responsible for making my life's soundtrack a diverse masterpiece. In this blog, I'll be saluting these fine folk of musical mastery, occasionally calling out the ones that cheat us musically in some way or another, and random other related things I feel I must get into (its my blog bro). I'll be starting tomorrow, now go listen to something. Yea, people don't really think about how much music is needed. Everywhere I am and everywhere I go I Humm tones hehe. People 'd rather go deaf then blind, but I'm not sure if the choice is that obvious for me. Fun to see another music blogger besides myself. I'll be sure to follow to find new stuff. Your the boss. Booting up itunes now. Following you, looking forward to it. Music makes my life complete, I can't imagine living without it! Good point of view my friend. Keep sharing. I totally get what you're saying. When I hear Simple Plan or Creed, I just get emotional and the music just pulls me in. Wouldn't be able to live without music! Sounds great! Can't wait to see whats to come! Listen to Animals as Leaders. Just great music. Cant wait for your insights! great read. keep em comin! Music is what I need to keep my sanity.